As part of this week’s highlights on 2014 Eureka Prize winners, yesterday I had a look at a cheap technique allowing you to have a microscope in your own pocket. Today’s highlight happens to be microscopy-themed as well. While a regular, optical microscope works by focusing light rays through a lens, a scanning electron microscope (SEM) is a far more powerful tool which can magnify objects up to 300 000 times. In many functional ways analogous to optical microscopes, SEMs use electrons instead of light to create a magnified image. Electrons — negatively charged particles — can be directed and guided by electromagnets in a fashion similar to how light photons are focused by lenses. Imagine you are in a dark room and are systematically lighting the opposite wall with a torch. Gradually, you build an image of that wall in your memory, as separate sections are revealed by the light of the torch. By this analogy, in a SEM the torch light is an electron beam, the wall is the sample, your memory is the viewing screen and your eyes are detectors. When a sample is viewed through a SEM, the electron beam, upon hitting a specifically prepared sample, dislodges electrons and X-rays. Detectors then gather these dislodged bits and convert them into a signal that produces the final image on a viewing screen. Because of this incredibly fine-grained approach, SEM images offer the kind of detail and depth that is unavailable through a microscope that only operates with light. This year, the Eureka Prize for Science Photography went to an image created with a SEM. CSIRO scientist Mark Talbot captured a wheat bud with two different modes of the microscope. 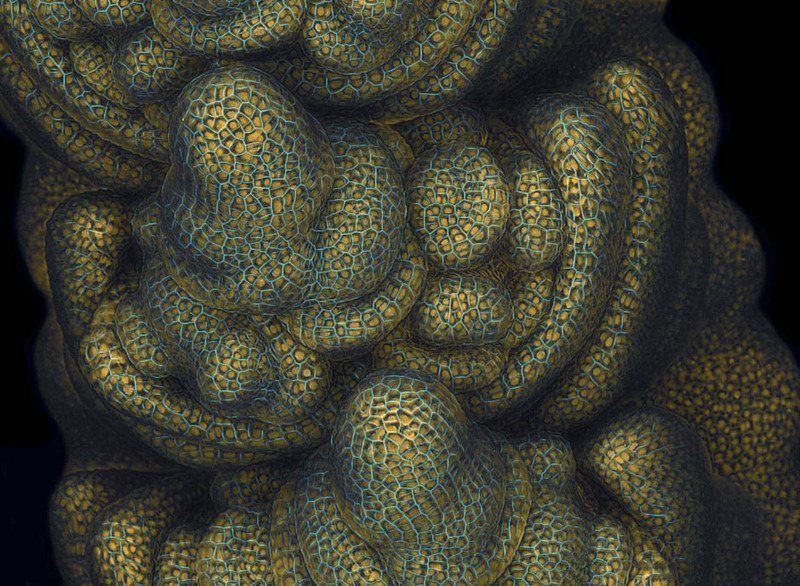 By using artificially coloured highlights of both cell outlines in blue and cell nuclei in orange, and then superimposing the two images, Dr Talbot was able to reveal unexpected detail in this simple, unassuming part of the wheat plant. 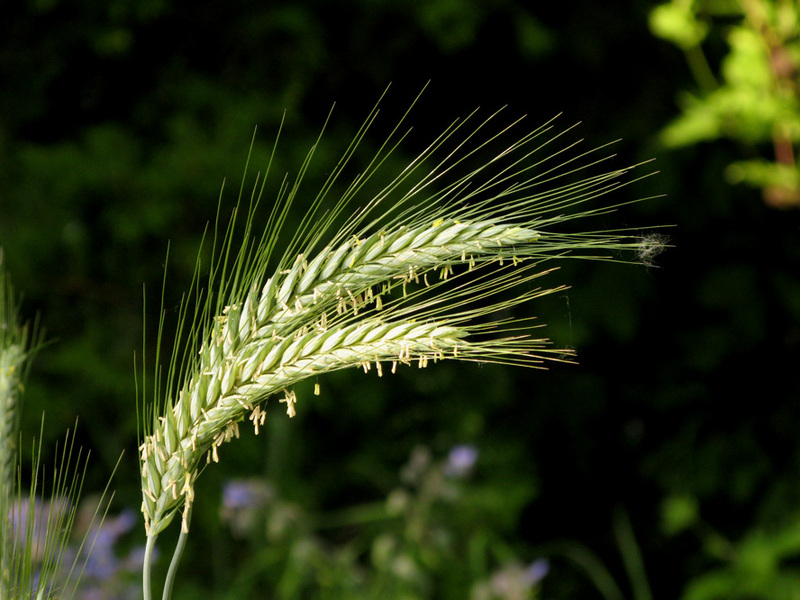 Eventually, these buds become seeds and lead to grains, and to flour… Wheat through the looking glass is perhaps the most unexpected view of a bread precursor that you will ever see.